When DDB and Volkswagen came calling, editor Marc Langley was definitely along for the ride. 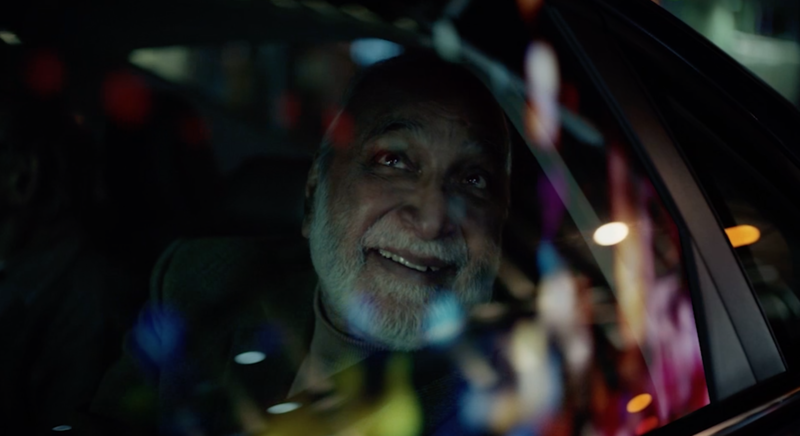 No stranger to Volkswagen work, this latest spot sees Marc team up with Circle Productions director Josh Soskin and four joyriding senior citizens. This entry was posted in advertising, Automotive, Commercial edit and post, Commercial Editing, commercial post production, Communications, creative, creative ads, editing, editing and post, post production and tagged #circleproductions, #DDBCanada, #joyride, #joyriding, #roosterpost, #VolkswagenCanada on April 3, 2018 by Rooster Post Production. Editor Marc Langley knows how to chase the rain clouds away. The story begins on a rainy day and a washed out picnic … until Dad takes the wheel and saves the day in this spot for DDB & Volkswagen, directed by Soft Citizen director Arni Thor Jonsson. This entry was posted in Automotive, Outdoor Activities and tagged #DDBCanada, #fathersanddaughters, #picnics, #rainydays, #roosterpost, #softcitizen, #VolkswagenCanada, #VW, Volkswagen on October 7, 2016 by Rooster Post Production. Gone are the days when Daddy would greet his daughter’s date at the front door with a carload of intimidation. Today’s Dad is a lot more sophisticated. 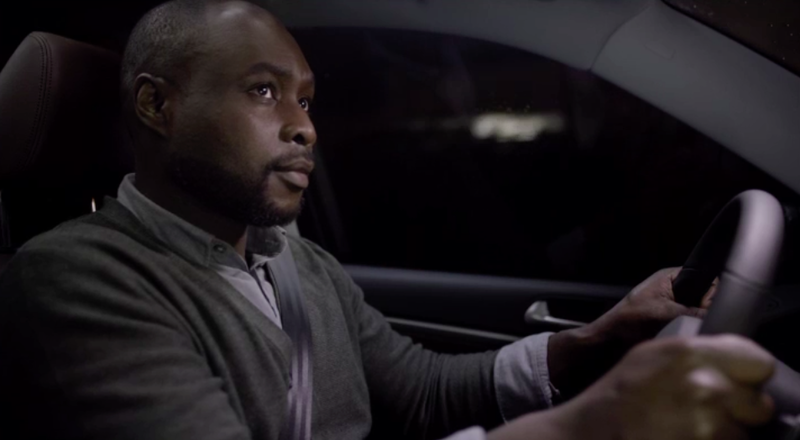 In this Volkswagen spot called “Prom Night” from DDB Canada, Daddy’s in control of his daughter’s prom date from the comfort of his Tiguan and the poor kid doesn’t stand a chance. Marc Langley was in the driver’s seat for editorial duties, and the spot was directed by Untitled Film’s Jean-Michel Ravon. This entry was posted in Automotive, Commercial edit and post, Commercial Editing and Post, commercial post production, editing and post, post production, tvcommercials, Uncategorized and tagged #Jean-MichelRavon, #MarcLangley, #Tiguan, #VolkswagenCanada, Volkswagen on April 23, 2015 by Rooster Post Production. 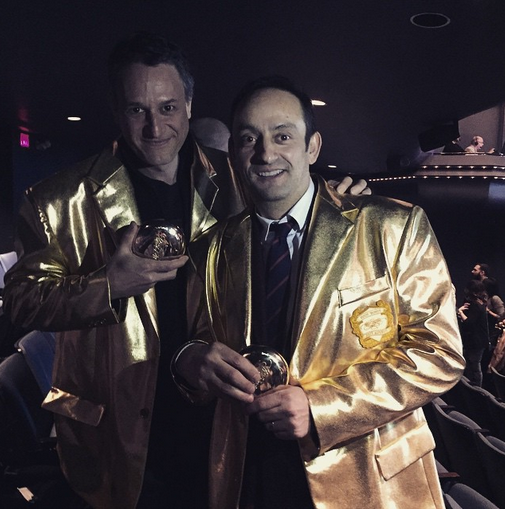 The Golden Boys of Editing – Paul Jutras & Marc Langley in their gold Bessies Award Show jackets. Photo courtesy of Melissa Kahn. The 2015 Bessies Awards were handed out last night and Rooster Post Production editors Marc Langley and Paul Jutras both came home with GOLD awards for Editing. Marc Langley won GOLD in the Editing category for “Invade” the launch spot for FCB Ontario Tourism’s campaign for the Toronto Pan Am/Para Pan Am Games. “Invade” was also recognized with GOLD awards for Colour, Sound Design, Best Use of Music and a BEST OF SHOW Craft Award! Rooster editor Paul Jutras, also won GOLD for editing for his outstanding work on “Once More: The Story of VIN 903847” for Red Urban and Volkswagen Canada. “VIN” was also recognized in the Television Single category, where it picked up a GOLD. Other notable wins include a GOLD in the Digital Campaign category for Rethink & Molson Canadian’s “Beer Fridge: Project Indonesia/Beach Hockey/Morgan Interview”, plus an Integrated Campaign SILVER for “Passport Beer Fridge” with both campaigns edited by Marc Langley. BBDO & Smart Canada won SILVER in the Digital Single category for “Smart Electric Drag Race” edited by Christina Humphries and a project for Anomaly & Shock Top called “Tap” edited by Joey Whitelaw, took home a SILVER in the Digital Campaign category. Volkswagen “Bellies” edited by Chris Parkins for Red Urban also won SILVER in the Television category. Fort York VFX’s Ernest Mordak received the Bob Mann Award for Excellence in Post Production, a very well-deserved win for a long time friend, co-worker and partner to everyone at Rooster. And last, but certainly not least, a big round of applause to all of our clients, and industry friends who were recognized for their outstanding work. Well done everyone!! This entry was posted in Ad Award Shows, advertising, Automotive, Beer, Bessie Awards, Commercial edit and post, Commercial Editing and Post, commercial post production, commercials, creative, creative ads, editing and post, Pan Am Games, popculture, post production, television, TV Campaign, TV Commercials, tvcommercials, Uncategorized, VFX and tagged #2015Bessies, #BBDO, #Bessieawards, #BobMannAward, #ChrisParkins, #ChristinaHumphries, #ErnestMordak, #JoeyWhitelaw, #MarcLangley, #MolsonCanadian, #PaulJutras, #RedUrban, #Rethink, #ShockTop, #SmartCanada, #TribalToronto, #VolkswagenCanada on March 27, 2015 by Rooster Post Production. It was a big night at the Advertising and Design Club of Canada’s annual awards show where the best in advertising, design and interactive media went toe to toe. When the dust settled, projects that Rooster Post Production collaborated on won a stellar 6 GOLD ADCC awards, 5 SILVER awards and 2 MERITS!!. A big congratulations to everyone involved on these award-winning projects! A big winner at the ADCC’s was Rethink Toronto and Molson Canadian for “Passport Beer Fridge” running off with 3 GOLD awards (Advertising Out of Home Enhanced Single/Advertising Ambient Single/Interactive Digital Installations, and 1 SILVER (TV Single, 30 Seconds). The campaign also won a Graphic Design MERIT. Partner’s Film director Jonty Toosey helmed the project with editorial by Rooster Post’s Marc Langley. Red Urban and client Volkswagen GTD won 2 GOLDS with a win in the TV Campaign category for “Bellies” and “Ice Cream” and a second GOLD win in the Broadcast TV Single category for “Bellies”. Chris Parkins was the editor for both “Ice Cream” and “Bellies” directed by Untitled Film’s Curtis Wehrfritz. Another Red Urban project for Volkswagen, “Once More: The Story of VIN 903847” had an excellent showing, winning GOLD in the Advertising Integrated Campaign category and a SILVER in the Interactive Online Film/Video Single category. “Once More: The Story of VIN 903847” was edited by Paul Jutras and directed by Untitled Film’s Hubert Davis. “Cowboy” a DDB Canada and Tribal Worldwide project for the Toronto Jewish Film Festival won 2 SILVER awards (Broadcast Cinema, Single/TV Public Service, Single) with quick draw editoral by Marc Langley, directed by Suneeva’s Shelley Lewis. Another DDB Canada and Tribal Worldwide entry, “Ron Jeremy”, also for the Toronto Jewish Film Festival, took home a Broadcast SILVER in the TV Public Service, Single category. “Ron Jeremy” was also edited by Rooster’s Marc Langley, and directed by Brian Lee Hughes out of OPC & Skunk. 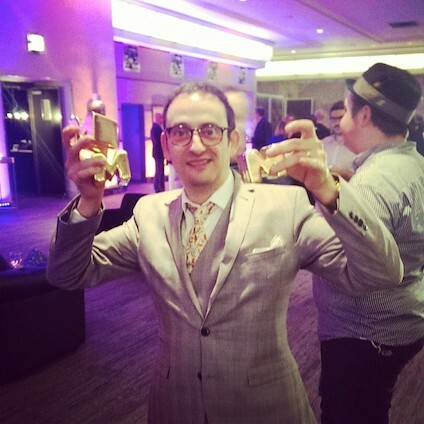 Rooster editor Paul Proulx capped off his evening with 3 wins for collaborative projects. A campaign edited by Proulx and directed by Chris Sargent for Grip and client the Sunnybrook Foundation, took home a SILVER in the Broadcast TV Campaign category and another SILVER award in the TV Single, 60 Seconds or More category. Proulx’s film collaboration with director Tamir Moscovici, “KAZ: Pushing the Virtual Divide” also won a MERIT in the Interactive Online Film/Video Single category. A third Red Urban project, again for Volkswagen, walked off with an Interactive MERIT in the Online Film/Video Single category for The Beetle 3-Track “WOTE” all three of which were musically edited by Rooster’s Dave De Carlo and directed by Wendy Morgan from Untitled Films. This entry was posted in Ad Award Shows, ADCCs, advertising, Automotive, Beer, Branded Content, Commercial edit and post, Commercial Editing and Post, creative ads, editing and post, Film Festivals, interactive, Interactive Advertising Campaigns, popculture, Short Film, Travel & Events, TV Campaign, TV Commercials and tagged #ADCC, #advertisingawardshows, #BeerFridge, #bestads, #bestinshow, #BrandedContent, #documentary, #MolsonCanadian, #shortfilm, #televisioncommercials, #TorontoJewishFilmFestival, #TVcommercials, #VolkswagenCanada, #VolkswagenGTD on November 7, 2014 by Rooster Post Production. Projects that Rooster Post Production were fortunate enough to collaborate on picked up a ton of metal at last night’s Marketing Awards. We’re always proud of the work we do, but it’s really nice when work is recognized at the awards podium! A big round of congratulations are in order for The Beer Fridge, which won BEST IN SHOW, GOLD in Out of Home/Experiential/Stunts/Events and SILVER in the Film category. A well deserved win for agency Rethink, Molson Canadian, Partners Film director Jonty Toosey and our very own editor Marc Langley. Want to know the story behind The Beer Fridge and Project Indonesia? It was a golden ending to the story for Red Urban, Untitled Director Hubert Davis, Volkswagen and editor Paul Jutras as Once More: The Story of VIN 903847 also won GOLD at the Marketing Awards in the Branded Content category. It also picked up a SILVER in the Digital – Websites/Microsites/Advertising category. Read more about the documentary and how it came to be. Volkswagen Beetle also walked off with two awards for agency Red Urban, Untitled Films director Wendy Morgan, and Rooster Post editor Dave De Carlo for The Beetle 3-Track, Gang of Rhythm featuring break out musical sensation “Walk Off The Earth”. The project won BRONZE in the Film – Online Single category and a CRAFT AWARD for Music. The video features three different versions of the song, in three different locations, with three different models of The Beetle. The annotation buttons in the video let viewers seamlessly jump between locations and songs, making it a three-in-one interactive experience. Read more about this incredible 3-video project. TWO GOLDS and a Special Jury Selection “Marketing for Good” were handed out for the pieces that Rooster worked on for Grey’s PSA Moms Demand Action for Gun Sense in America amongst the many awards that this campaign received. “Easter Surprise” won GOLD for Press – Out of Home Single, edited by Rooster’s Drew Stevenson and “It’s Time for Gun Sense” won GOLD for Public Service Integrated. Our work in the Public Service Integrated category was edited by Dave De Carlo and Drew Stevenson. Big congratulations go to agency Grey, Untitled director Hubert Davis and Rooster Post’s Dave De Carlo and Drew Stevenson. This entry was posted in Ad Award Shows, out of home, post production, TV Campaign, TV Commercials, Uncategorized and tagged #Grey, #MarketingAwards, #MolsonCanadian, #Momsdemandactionforgunsenseinamerica, #RedUrban, #Rethink, #VolkswagenBeetle, #VolkswagenCanada, #WalkTheEarth on May 30, 2014 by Rooster Post Production. Winning isn’t always everything, but it’s awfully nice to be in the running at the 2014 AICE Awards Show. Rooster Post Production is proud to congratulate and offer a well-deserved pat on the back to AICE-nominated editors Chris Parkins, Jesse Unruh, Dave De Carlo and Marc Langley. Parkins and Unruh are recognised in the Regional Campaign category with best campaign work for Red Urban client Volkswagen GTD for “Ice Cream”, “Bellies” and “Pizza”, directed by Untitled Film’s Curtis Wehrfritz. De Carlo is up for the best Spec Spot category for Engage Diamond Studio “The Artist” – a visually stunning piece in collaboration with The Corner Store Films’ talented director Anton Josef. Last but not least, Langley gets the nod in two categories: the Alternative Media (:90 and Under) category, and the hotly-contested, 3-nominee Best of Toronto category. 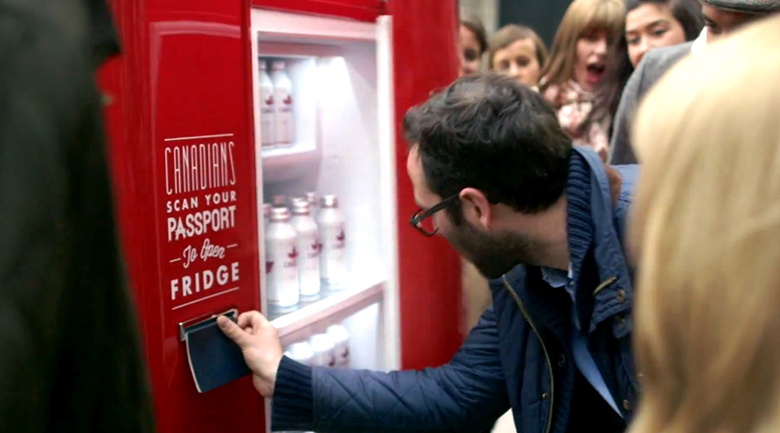 Both nominations are for the perennial favourite, Molson Canadian “Beer Fridge”, out of agency Rethink and directed by Partners Film Jonty Toosey. This entry was posted in Ad Award Shows, AICEAWARDS, commercials, tvcommercials, Uncategorized and tagged #AICEAwards, #bestediting, #bestoftoronto, #editandpost, #engagediamondstudio, #MolsonCanadian, #TVcommercials, #VolkswagenCanada on April 29, 2014 by Rooster Post Production.